Australia’s leading 4×4 suspension brand takes into account your individual requirements with specialist engineers spending hundreds of man hours testing and modifying various combinations in the demanding Australian Outback, so you can find the most suitable solution for your needs. ARB and Old Man Emu’s commitment to providing the most comprehensive range on the market has resulted in an extensive selection of quality products. From Old Man Emu shocks to Old Man Emu suspension kits, all of our products are backed by a minimum 3 years or 60,000km (whichever comes first) warranty and aftersales service that is unmatched by any other suspension company. Prototype shock absorbers and springs are tested and modified in a variety of terrains and with varying loads to ensure that each shock and spring combination is ideally suited to a vehicle, its varying weights and the terrain it is to encounter. 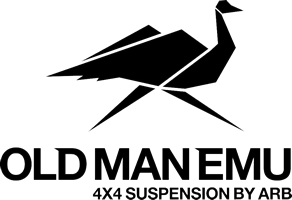 Old Man Emu suspension – specialised, integrated 4WD suspension systems.